Somalia sits on the horn of Africa with the longest coastline on the continent’s mainland, while its capital city Mogadishu is known as the ‘white pearl’ of the Indian Ocean. In antiquity, Somalia is said to be “among the most probable locations of the fabled ancient Land of Punt;” in addition, it was an important commercial centre with ancient relations. Its long-distance trade by sea and camel caravan gave birth to a multi-cultural society with communities on the coast. Somalia’s rich and ancient cultural heritage and treasure has been overshadowed by years of conflict and unrest. 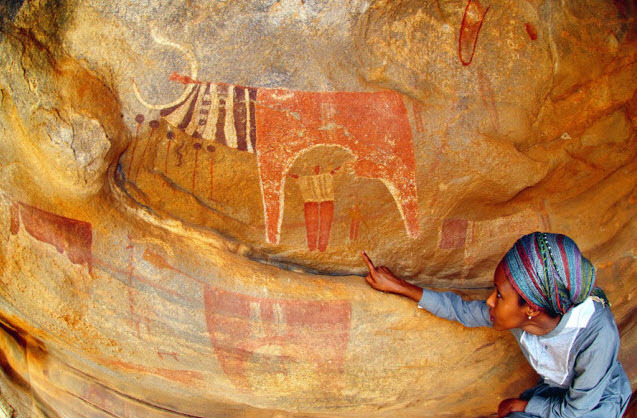 Undertaking the challenge of discovery to expose Somali’s cultural and archeological heritage –to make known the region’s riches– is one committed extraordinary Somali woman. Dr Sada Mire is claimed to be the first and only active Somali woman archaeologist in Somaliland, a de facto state in Northern Somalia.